Thank you for your interest in the 10-week summer Research Experiences for Undergraduates site "Robots in the Real World", which is now in its sixth year, supported by the National Science Foundation under award CNS 1659746. The program will run from June 17 to August 23, 2019, on the main OSU campus in Corvallis, OR. We offer research experiences in all aspects of robotics, for students with backgrounds in computer science, mechanical engineering, electrical engineering, mathematics, physics, social science, or any closely related fields. The specific projects for 2019 are listed on the project page. Example projects from previous years are found here. Applications are open and will close February 8th, 2019 at noon. First round of notifications will be no later than February 23rd, 2019. The Robotics program at Oregon State University has offered summer research opportunities for five years (with support from the National Science Foundation under award 1359480, years 2014-2016, award 1659746 2017-2018). Our students have pursued projects in a variety of areas of robotics that deal with the real world; from remote marine sensing, to building and controlling legged robots, to picking up and manipulating objects, to managing swarms of robots, and to how we can incorporate robots into our daily lives. Exciting research is, however, only part of the story. We want students to leave our program excited about continuing to do research in robotics, and to give them the tools to successfully transition to graduate-level research, and to continue research at their home institutions. 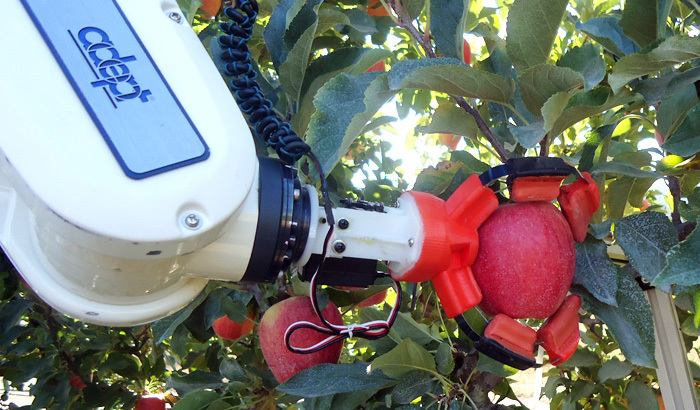 In particular, we provide a novel opportunity for students to design follow-on robotics research at their home institution, and to return to Oregon State during the academic year in order to use the robotics facilities here to conduct that research. During our 10 week summer program students will work on specific research projects alongside graduate students and faculty, attend workshops to find out what graduate school and research is all about, learn how to apply for graduate student fellowships (such as the NSF GFRP), and enjoy the great Oregon outdoors through student-organized activities. There will be plenty of opportunities to socialize with both faculty, graduate student mentors, and other REU students on campus in a variety of areas. During the 10 weeks of the program, students will gain insight into the research process, and what it means to be a graduate student. We have a focus on giving back - teaching our summer students how to inspire and motivate other students at their home institutions and home towns. What can you do to support increasing diversity in the STEM fields? 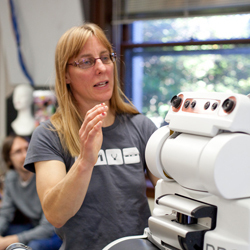 Robotics is appealing to a wide variety of people; help spread that appeal. Funds are available to support outreach efforts. Following the program we will continue to provide support and guidance to students interested in applying for graduate fellowships and programs. Students will also have the opportunity to self-organize academic or research studies at their home institutions with our guidance. All participants will receive a $5,000 stipend for the summer, plus a stipend for travel, housing, and food allowance. We've reserved space in student summer scholar dorm housing for REU participants from out of town, for those who want to take advantage of it. Admission to the REU program is competitive and will be based on the applicant's academic preparation and potential to perform research in an area of robotics. We ask all applicants to submit an academic transcript, answer questions about their areas of interest and experience outside of academics (such as leadership roles), and the names of two people willing to write letters of reference in support of the application. We are particularly interested in applicants with diverse backgrounds, such as an interest in psychology, mathematics, biology, or art, because robotics touches on all of these fields. We are specifically looking for students who have a demonstrated passion for outreach, diversity and engagement. Students from all institutions, including Oregon State University, are welcome to apply. Students from traditionally under-represented groups, and from colleges and universities that have limited research facilities, including tribal colleges and universities and community colleges, are particularly encouraged to apply. Note: The majority of our program is funded by the National Science Foundation and, as such, is only open to U.S. citizens and legal permanent residents. 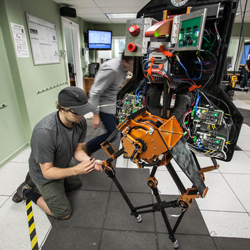 Research projects span a wide variety of applications, from legged robotics to multi-robot coordination to human-robot interaction to grasping. Examples of specific projects are available in more detail here. Please take time to browse through them; in the application process you will be asked to rank your interest in them.